Samuel Townend is a leading junior with a heavy practice across the spread of Chambers’ work, both domestic and international, known for his “strong and piercing advocacy”, “excellent commercial approach” and “sound legal mind” (Chambers UK 2017). Along with mainstream construction, energy and professional negligence work, for all of which he is cited as a leading junior by Legal 500 2018, his particular specialities are offshore construction and marine engineering including dredging, together with infrastructure and utilities. Samuel is known to be “a first-class advocate with the tenacity of a pitbull and manners of an English gentleman” (Legal 500 2017). He is nominated for Construction and Energy Junior of the Year at the 2019 Legal 500 awards. Whether instructed as sole counsel, leading or being led, Samuel is an energetic and enthusiastic member of the team known to be “very personable, very accessible, very client-friendly” (Chambers Global 2016) and to be “a remarkable advocate” (Chambers UK 2017). Samuel relishes getting stuck into the most legally complex and factually detailed disputes, providing “great advice” and championing the client in whatever forum is specified. 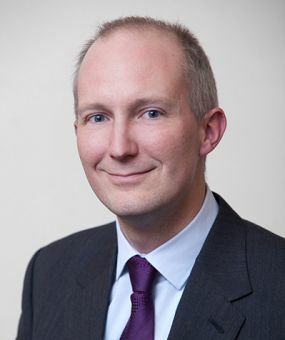 Samuel regularly acts for clients in the courts of England, Wales, and Northern Ireland, and he has a thriving practice in international and domestic arbitration (recently acting in two arbitrations in Australia and one in the IDRC) , along with all forms of alternative dispute resolution. It is a reflection of the high regard in which he is held by the industry, that Samuel was appointed Standing Counsel for the National House Building Council (NHBC), the market leading insurer of new and refurbished residential properties in the UK, for whom he acts for claims, recoveries and against personal guarantors as well as other matters on which he is called upon to advise, draft or advocate. Samuel is an Accredited Mediator, Adjudicator and Dispute Resolution Board panellist and also regularly acts as mediation and negotiation advocate. Sole counsel in UNCITRAL arbitration held in Perth concerning the valuation of variations and disruption claim valued at c. $9 million under Australian law. £130 million claim in 3 week ICC arbitration in connection with a pipe laying project featuring delay, variations, measurement, and unforeseen soils conditions under a FIDIC style contract. Multi-million variations and defects claim in adjudications arising from the development of two hospitals in the Turks & Caicos islands. Acted for the developer, Goodman, in the TCC ‘construction case of the year’ 2015 (Accolade Wines), concerning a claim for over £100 million in respect of defective concrete slab and foundations in the largest wine distribution centre in Europe. Sole counsel for insurer client in £5 million Northern Ireland Commercial Court claim concerning water ingress and structural deficiencies in a nine storey apartment block. Sole counsel for an international dredging and reclamation contractor in connection with the creation of a breakwater at a large port in Romania in a series of adjudications before a Dispute Adjudication Board under the FIDIC Red book form. Succeeded at first instance and in the Court of Appeal for claimant owner of commercial premises on a pier seeking compensation under the Building Act 1984 against a local authority who had issued prohibitive orders preventing public access to the claimant’s premises (Manolete v Hastings Borough Council). Standing Counsel for the National House Building Council, the market leading (over 85% market share) insurer of new and refurbished residential properties in the UK. Samuel acts for NHBC in resisting claims by owners under Buildmark, claims under the Rules for Builders and Developers against builders and developers who fail to carry out their obligations under the Buildmark scheme and against personal guarantors as well as other matters on which he is called upon to advise, draft or advocate (an average of 20 cases a year). These actions are both in arbitration and the TCC. Subject matter includes defects resulting in subsidence, fire safety concerns and water ingress. Numerous adjudications and enforcement actions acting for employers, contractors and construction professionals often in connection with multi-million pound disputes. Counsel for an engineering, procurement and construction management consultant defending a claim of £70 million relating to their work on the development of a gold ore processing factory in Burkina Faso. Counsel for solicitors defending a claim of negligence in relation to alleged failure to ensure procurement of new-build residential insurance as part of the completion of a development agreement and conveyance (Mercian v Bevan Brittan LLP). £30 million Commercial Court claim for a leading insurance company concerning negligent provision of tax advice and audit services (NHBC v PWC). Counsel for international engineering consultant in a series of ICC Arbitration references concerning fees for work done and alleged negligent design in connection with a metro development project in the capital of a Middle Eastern country. Represented an architect in the TCC against multi-million pound claims of negligence and breach of contract in relation to the design of a rugby club. Junior counsel to Nerys Jefford QC (as she then was) defending an architect in respect of a £6 million claim arising from a destructive fire at a shopping centre in the North of England. The claim was for loss of a chance on the basis of alleged failure by the architect to provide for adequate fire-stopping in the design (BMG v (1) Galliford Try (2) Aedas). Acted for a building society in a series of claims against their former project managers and valuers (Hanley Economic Building Society v Christopher Rodgers Associates). Several claims concerning acoustics, both for the employer and acoustic consultant (including Hann Tucker Consultants v Porchester Limited). Multi-million pound claim for employer in connection with multiple defects in a high-class residential property in St. James against architects and contractor. Defending NHBC Building Control Services against allegations of alleged professional negligence in relation to, among other matters, a prestigious apartment with views of the Thames and fire safety matters. Half a billion (AED) claims for an international dredging and land reclamation company in a series of arbitrations under LCIA-DIFC rules. Claims were under a series of FIDIC contracts including issues of termination, re-measurement, and loss and expense (UAE law). Counsel for the owner of a substantial offshore wind farm in £60 million ICC arbitration termination, delay and defects claim against the main contractor. Counsel for dredging contractor in $9 million variation and disruption claim against employer in relation to dredging and delivery of shell sand off the coast of Western Australia under UNCITRAL rules (Australian law). €50 million design and installation defects claim under ICC rules concerning internal and external corrosion protection of a large wind farm array off the British Coast. $150 million (Australian) ICC arbitration brought against the employer for the dredging of an LPG gas pipeline in Northern Australia. Issues include variations, measurement, delay, disruption and unforeseen soils conditions under a FIDIC style contract (Australian law). Junior counsel with Finola O’Farrell QC (as she then was) on a final account dispute for a contractor claiming £20 million in connection with the widening of a motorway in the UK. Counsel for a train operating company arising from high profile train manufacture and maintenance contracts. Counsel for employer in relation to multi-million pound claims concerning the widening of the West Coast main line. Acted for employer on final account and delay claims for the fitting out of train rolling stock. Counsel for well known shopping centre owners in disputes with a train operator arising from train development and planning gain agreements between them. Counsel for the contractor commissioned to supply and install cladding to London tube stations. £5 million overpayment claim against the provider of electricity to the water company’s 6000 site estate. Counsel for a sewage undertaker in respect of a class action brought by homeowners all suffering from flooding as a result of leaks to the surface water drainage system for which the undertaker was said to be responsible. Successfully resisted injunction applications brought against a sewage undertaker in respect of alleged statutory failure to provide surface water drainage system. Counsel in €110 million arbitration under ICC Rules concerning the design and construction of a wind farm. Acted for insurer defendant in trial for plaintiffs’ claims for defects in construction of a biomass district heating system (Northern Ireland). Counsel in multi- million pound claim concerning the blow out of the waste processing port of an energy from waste factory. €50 million arbitration under ICC Rules concerning design and installation defects in connection with a large offshore wind farm. Counsel for a water company facing claims by the maintainer/operator of a number of CHP biomass units on the company’s sites following early termination of their contract. Dispute concerning scope of duty, remoteness and quantum arising from negligent cutting of electricity cables. Counsel for a ‘green waste’ power generation company in relation to disputes under various contracts with suppliers, maintainers, and in connection with the contracts for supply of electricity. Counsel for a well-known waste management company in respect of a multi-million pound claim concerning their leaking land fill site. Counsel for the owner of an organic waste processing plant in a £7 million claim against the turn-key design and build managing contractor. Sole counsel acting for Eastern European state entity before an ICC Tribunal considering the enforcement of a Dispute Board Decision and the existence of contractual preclusions to the right of the employer to make a call on the performance security. £130 million claim in 3 week ICC arbitration in connection with a pipe laying project featuring delay, variations, measurement, and unforeseen soils conditions under a FIDIC style contract (Australian law). Sole counsel for a reclamation contractor in connection with the creation of a breakwater at a large port in Romania in a series of adjudications before a Dispute Adjudication Board under the FIDIC Red book form (Romanian law). Counsel for the owner of a substantial offshore wind farm in £60 million ICC arbitration termination, delay and defects claim against the main contractor (English law). Counsel for an Emirati road building contractor against its employer under a bespoke contract and arbitration rules. The claim concerned a road interchange and road bridges with substantial structural defects, delay, disruption, acceleration and complex quantum issues (UAE law). Sole counsel in valuation of variations and disruption claim valued at c. $9 million under UNCITRAL rules and Western Australian law, final hearing held in December 2016 (Australian law). Counsel for the engineer in a series of ICC Arbitration references concerning the development of a city metro in a Middle Eastern country. High Court litigation concerning disputes about an internet based insurance applications processing system. Claim in connection with defects in a high value residential building management system. Junior counsel to Finola O’Farrell QC (as she then was) for the owner of a smart card security system across multiple sites against a negligent designer (AC Controls v BBC). Successful summary enforcement of two adjudication decisions where unsuccessful responding party argued the adjudicator in each case had not dealt with all of the responding party’s defences (Urang Commercial Ltd v (1) Century Investments (2) Eclipse Hotels (2011)). Successful summary enforcement of an adjudicator’s decision. The unsuccessful objection taken by the defendant concerned the nature and extent of authority of the landfill manager contracting with the claimant (CRJ Services v Lanstar (2011)). Another successful summary enforcement of an adjudicator’s decision where the issue in dispute concerned whether a second adjudicator had jurisdiction to decide a matter which had been addressed tangentially in the first adjudication (Redwing Construction v Charles Wishart (2010)). Appeared for the claimant in a whole day summary enforcement of an adjudicator’s decision raising five issues. Succeeded on all but one point, whether there had been a prior compromise of the claim brought in the adjudication, which raised a triable issue. Action compromised before the expedited short trial was due to take place (GPS Marine Contractors v Ringway (2010)). Counsel in two adjudications for the developer of two hospitals in Turks & Caicos Islands being pursued by electrical contractor in variation claims concerning provision of electrical resilience and off set corridor lighting. Counsel for employer tasked with protection of the Norfolk Fens from inundation in a series of adjudications. The adjudications were in relation to claims brought by a major contractor under an NEC2 contract in connection with the design and construction of the largest water pumping station in Europe. Counsel in a succession of adjudications in multi-million pound claims on behalf of a developer in claims by a major contractor for extensions of time and money arising from hotel, residential and office refurbishment work in connection with a plot in Chelsea. Counsel for the trustees of the new Museum of Liverpool for repayment/restitution of sums paid to a museum interior designer pursuant to an adjudication decision. Adjudicator appointed by TECBAR on a final account dispute concerning a term contract for the maintenance of facilities associated with railway lines. Counsel in respect of dispute concerning the discharge of various securities held in respect of a deferred payment of construction cost of a community heating system (Northern Ireland). Succeeded in striking out claim brought by contractor pursuant to a personal guarantee given by a director of stone and tiling supplier (ME Construction v Daniel Smith). Counsel for NHBC in multiple recoveries claims under personal guarantees given by development/contractor company directors where the company has failed to comply with its obligations under the NHBC Rules and/or where insolvent. Counsel on behalf of an insurance company acting as surety and facing both a call on a bond of £3/4million from a local authority threatening summary judgment proceedings and injunctive proceedings to prevent payment under the bond from the developer client upon whose behalf the company had offered the performance bond. Counsel to a well known train manufacturer about the enforceability of a performance guarantee. Sole counsel in an ICC Arbitration concerning the existence of contractual preclusions to the right of the employer to make a call on the performance security. Counsel for a Hospital Trust in a PFI contract adjudication claiming very significant unavailability deductions arising from lack of fire compartmentation in original construction. Acted for Project Co operating an underground railway maintenance contract in relation to a series of disputes concerning defects in the work; failure to carry out work in good time; resulting in the imposition of retrospective and prospective deductions. Part of a team of counsel assisting in relation to potential termination of a PFI contract and use of Part 8 proceedings. "A persuasive and compelling advocate, his cross-examination is focused and efficient." "Extremely knowledgeable about all areas of construction law, is very responsive and proactive." "An excellent advocate - never fails to impress." "Very happy to roll his sleeves up and get into the details, he has a good relationship with clients and delivers written work of a high quality." "A first-class advocate with the tenacity of a pitbull and manners of an English gentleman." "Very bright, knowledgeable and has great attention to detail." “Certainty and loss of a chance in the assessment of damages- a comparative law analysis” to the Society of Construction Law Australia, Sydney. “Disputes- how to avoid them and how to deal with them” Second European Dredging Summit, Hamburg, Germany. “Duty to Warn- whose job is it?” to the Society of Construction Law, North East Branch. “Expert Evidence” to Constructing Excellence, North East. “Too little, too late: Losing the right to object to jurisdiction in adjudication” to the Society of Construction Law, East Midlands Branch. Co-author with Mr Justice Coulson and Jane Lemon QC of “Architects, Engineers and Quantity Surveyors” in “Professional Negligence and Liability” pub. LLP (2017). Author of a chapter “Public Procurement” in “Law Reform 2015” pub Profile (2014). Contributor to chapters in “Construction Dispute Resolution Handbook” pub. ICE (2016). Samuel stood as a parliamentary candidate for Reigate (2005) and Bristol North West (2010). He is Vice-Chair of the Society of Labour Lawyers. He was a Councillor of the London Borough of Lambeth from 2006-2009. In that role and as a school governor Samuel was involved in a number of appointment and disciplinary panels. For a number of years he was appointed by the Bar Council to supervise the elections of the Executive of the National Union of Students.